Novenstern & Gaudio, LLP will closely examine the benefits of a legal separation agreement in your particular case and explain the implications. You and your spouse may consider a legal separation as an alternative to divorce. An experienced divorce law firm can assist you in deciding if a separation agreement is appropriate for you. With a legal separation, you and your spouse live apart from one another but, legally, you are still married. You should realize that legal separation does not result in an automatic divorce. Living under separation agreement for at least one year can be a prerequisite for a divorce. A legal separation has many benefits over a traditional divorce. A divorce can sometimes be hostile and involves the dissolution of the marriage. The grounds for a legal separation are less stringent than those of a divorce. However, a separation may cause you to lose certain benefits gained from the union. Separating from your spouse can be difficult. If you are considering legal separation, you should contact an experienced divorce lawyer. Your attorney can assist in drafting an agreement that is suitable to both you and your spouse. Novenstern & Gaudio, LLP will closely examine the benefits of a legal separation agreement in your particular case and thoroughly explain the implications. 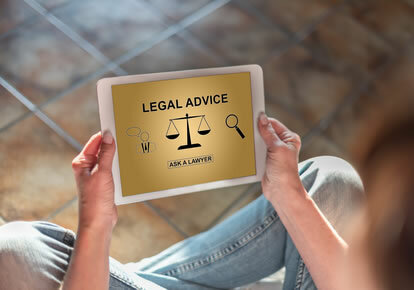 The Family Law attorneys of Novenstern and Gaudio can assist you in determining if a legal separation agreement is appropriate for your situation. Contact a divorce lawyer at Novenstern & Gaudio, LLP today to discuss your questions regarding legal separation. We primarily serve Westchester, Putnam, Dutchess, Rockland, Bronx, and New York counties. Call (914) 241-2400 or use the contact form on this page.